For a while now I've wanted to buy an activity tracker, one that I can wear on my wrist. Pedometers require you to remember to attach them to your clothing and I'm not good about remembering stuff like that. Problem is there are still a lot of choices when it comes to wearable activity trackers. Some of the most popular are Jawbone and Fitbit and I was looking seriously at the Runtastic Orbit since I use their apps but I kept waffling on which one I wanted. 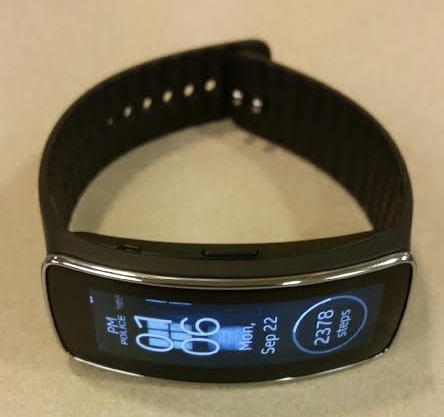 The Runtastic one is completely water proof and comes with 2 bands and the ability to put it into a clip if you want. 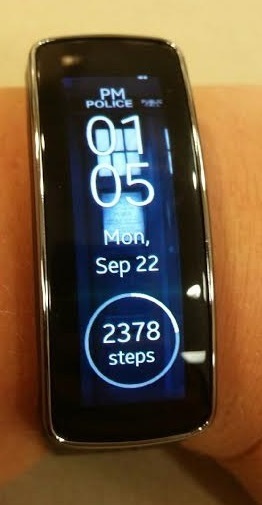 But I had also been looking at the Samsung Gear Fit which is what I have decided to go with. It is part activity tracker, part smart phone assistant. It is a pedometer and workout tracker and has a built in heart rate monitor, but it also has a timer, a stop watch, and can control some of the apps and media on my phone. So, while I'll still need my phone with me for GPS and music while working out, I can control all of it from my wrist and not have to dig my phone out of my pocket. I can also check text messages and emails from it, as well as see incoming calls. Though I can't answer or reply to any of it. But it allows me to know if I need to rush across the apartment for my phone when it starts ringing or if I can just let it go. All alerts are accompanied by it vibrating. It also has sleep tracking like so many of the others and ties into my phones alarms which is really nice since I use my phone as an alarm clock. When the alarm goes off it simply buzzes me awake. It is very light weight and I can change the background to anything I want as I have already done. The clock can be changed to look different and there are more apps you can get to change it farther. 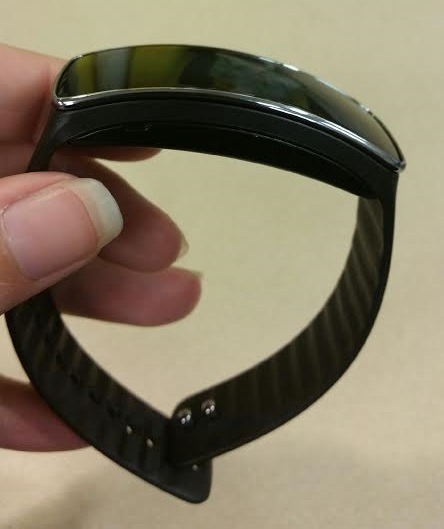 It is also water and dust resistant and the main piece pops out of the band to allow for other colors if desired. The reason I decided to go with this one even though it currently doesn't connect with the Runtastic apps is because like a phone or tablet, it can receive updates. Which means that's its functionality will continue to improve without me having to buy a new one. The only issue I'm having is that I've not worn a watch or bracelet regularly for so long that it feels out of place on my wrist. But that is something that I will get used to with time so I am very happy with it.